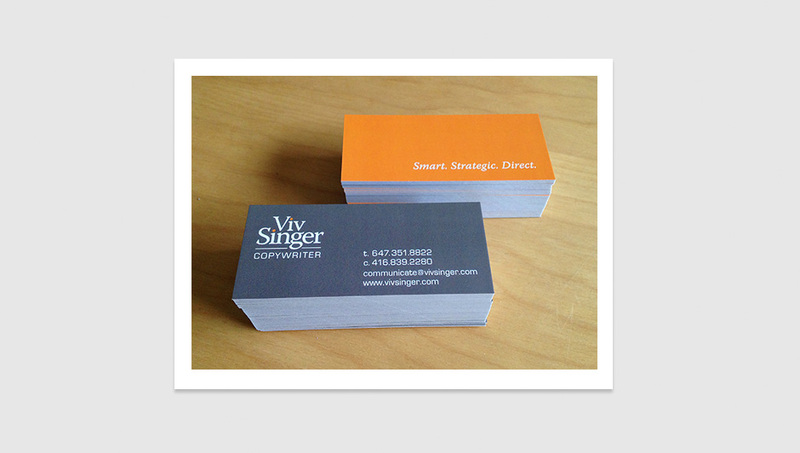 Logo, Business Card and Website for busy Toronto Copywriter. Viv needed an elegant simple identity and a website design that would showcase her fantastic portfolio of work. 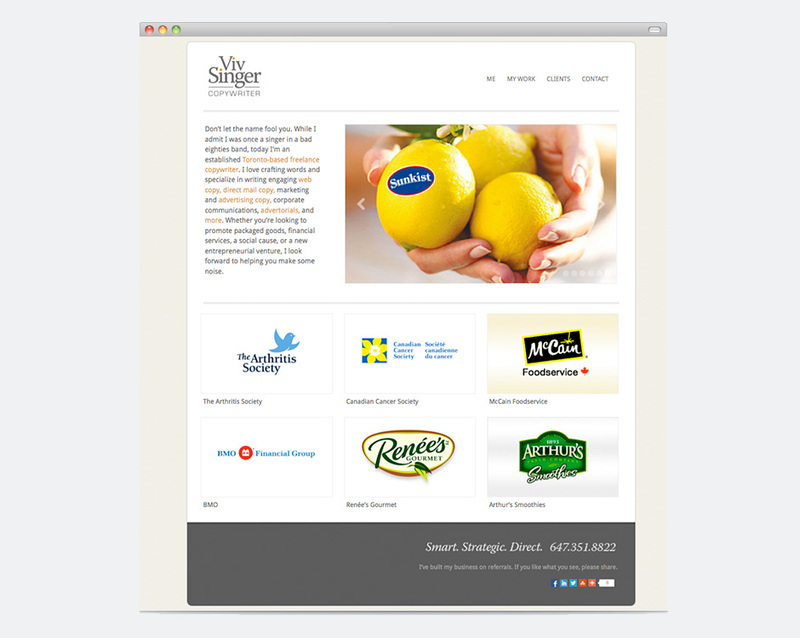 The site design was kept clean and simple so as not to distract from real purpose of the site – Viv’s work.